...and to watch the Children's Shakespeare Festival. His Royal Highness the Earl of Wessex Prince Edward, Royal Patron of the theatre, visited the Royal Exchange on Monday 30th June. The Earl came to observe the rehearsal day of the Children’s Shakespeare Festival, meeting Year 4 children and their teachers from Chapel Street Primary School in Levenshulme.  Whilst at the Royal Exchange The Earl also spoke to young apprentices from the Royal Exchange's Wardrobe, Marketing and Sound departments about their experiences within the theatre. Shakespeare Festival rehearsal and heard about the impact of the project for the children involved. Chapel Street Primary School pupils shared their interpretation of the battle scene from Macbeth, and judging by the passion they put into their performances, we'll be keeping an eye out for these young people on the Royal Exchange stage again, perhaps the stars of the Royal Exchange's future!